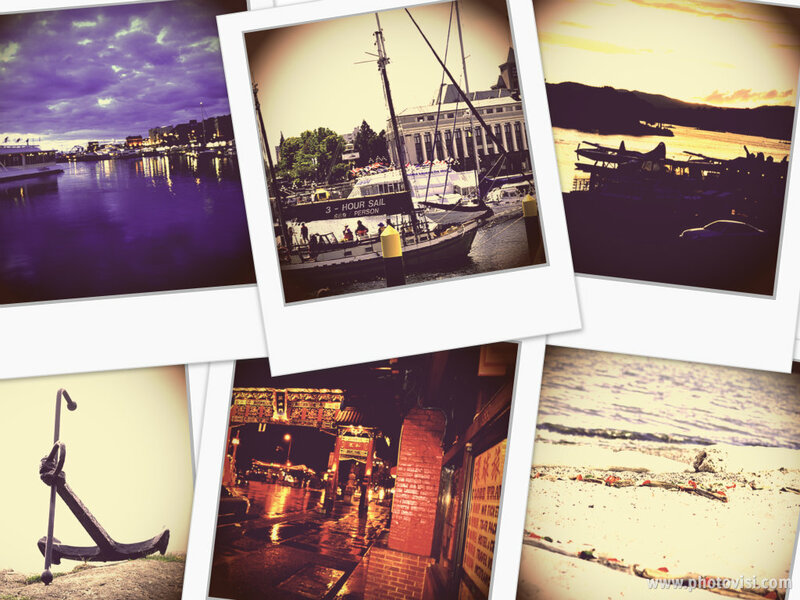 One night in Bangkok – and the world’s your oyster … That’s what they say. And they’re right! Now imagine spending a whole week there! But let’s start from the beginning. 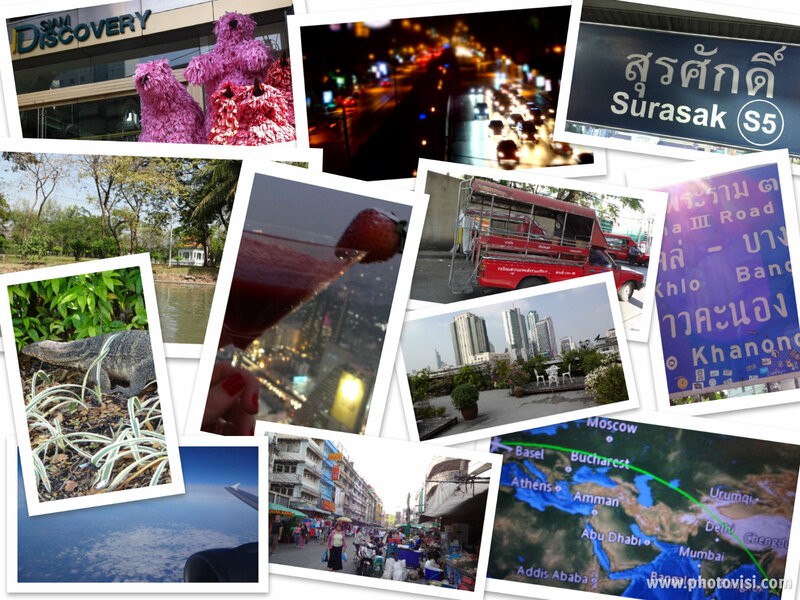 As some of you might have seen on Twitter or Instagram, I’ve been to Thailand for Christmas and New Years of 2013/2014. My boyfriend spent 3 months in Bangkok for work so I took the opportunity to visit him and the beautiful country of Thailand. This series is all about what we did, where we went, what we ate and what kind of Asian goodies I brought home – I hope you enjoy! Bangkok is an amazing city. It has been my first time ever travelling to Asia and wow – that was quite an experience! The noise, the smells and the hectic of Bangkok is definitely something you have to get used to, but it’s so worth it! I arrived in Bangkok on Christmas Eve. The first thing I had to learn was: It takes some experience to ride a cab in Bangkok. Don’t let them tell you it’s not common to use the taxi meter! The drivers have to use it, it’s the law. And it will probably safe you some money and insure that you’re driving with a licensed driver. Just refuse the driver if he’s not willing to use his taxi meter. Second thing I learned about taxis: There’s a highway fee. If you’re taking a taxi from Suvarnabhumi Airport to the city you will most likely take the highway – and there’s a few checkpoints where the driver will have to stop and pay a small fee. This basically translates to: The driver will hold his hand towards the back of the car and expects you to give him money to pay the fee. Definitely take some smaller bills with you for this – a credit card won’t do the job! If you have 2 or 3 50-baht-bills on you, they will be fine for the highway fees. The taxi fare from the airport to Bangkok can vary from 350 to 800 baht, depending on traffic and on where in Bangkok you’re going. On Christmas Day we already got on another plane to Koh Samui (read more about that here). We returned from our trip on New Years Eve. 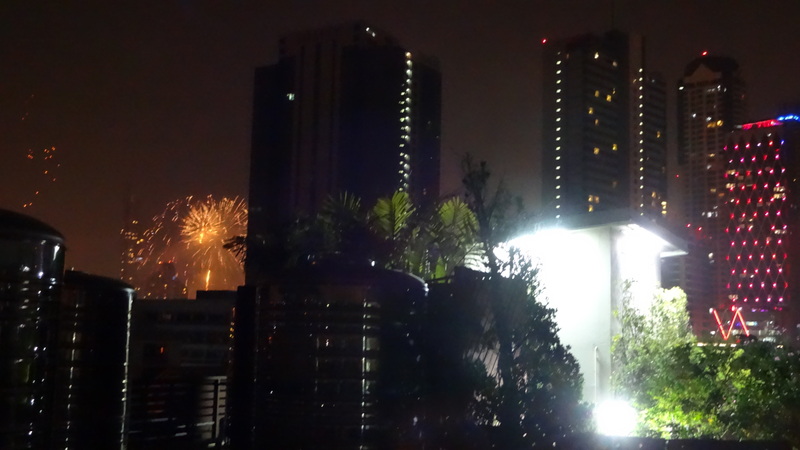 The apartment building my boyfriend stayed in had a really nice rooftop terrace – so we stayed there with some friends, ate, drank and watched the fireworks over the city at midnight. It was amazing! At about 2 a.m. we decided to go out and dance, so we went to a club called Maggie Choo’s. Let me tell you – that bar is crazy awesome! If you love watching people while enjoying your dring – Maggie Choo’s is the place to go. There are swings with the prettiest (and probably expensive… but that’s just a guess) girls hanging from the ceiling, the bartenders serve you from behind bars. The dresses are short and the music is loud. 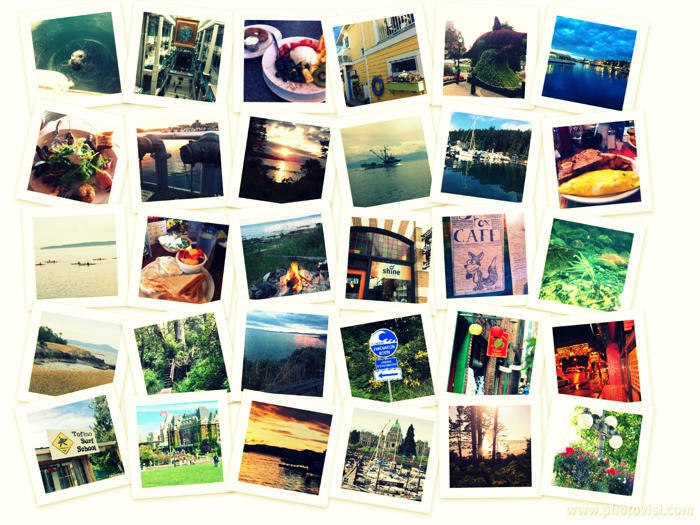 It’s definitely a place you should take a look at! The only thing that I really disliked about the club is that there were little people in uniforms dancing on a stage – they were obviously hired and didn’t look too happy to be there. It felt kind of degrading to me… But again, that’s just my impression. The next day was kind of quiet (and a little hungover :)). We slept in and then decided to go on a little trip to Banglampoo, which is probably the most touristy part of town. We took the Chao Phraya Express Boat (20 baht, you can pay on the boat) and got off at Phra Athit. 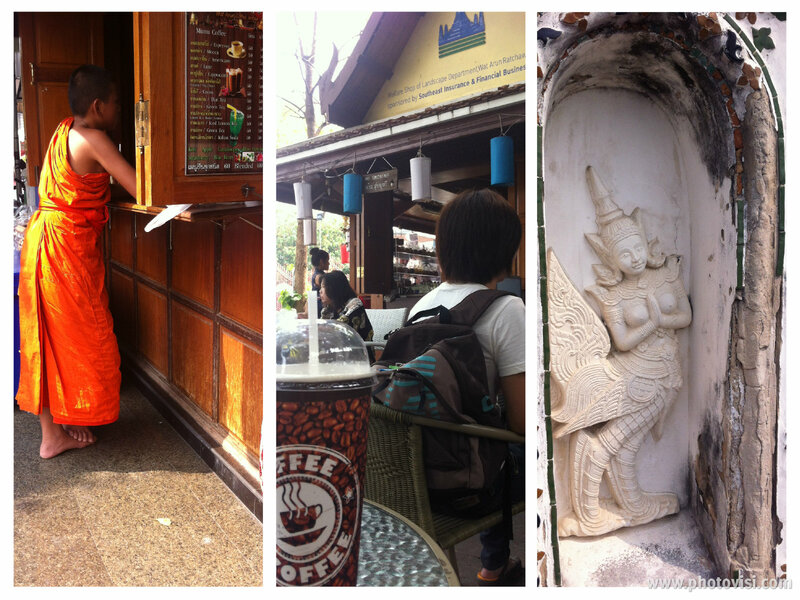 We took a little stroll around Samsen Road, Soi Rambutri and – of course – Kao San Road. Again, there’s lots of street vendors, clothing, food… sonsory overload! But worth it. 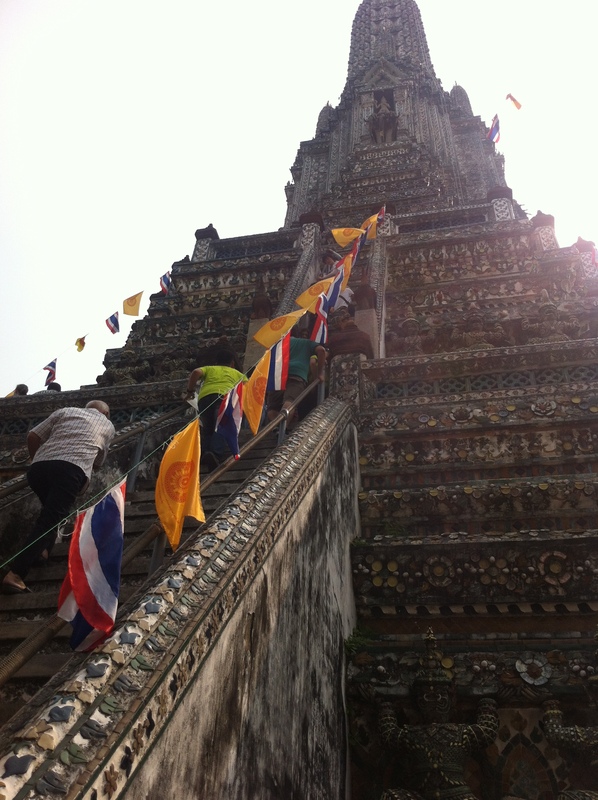 On January 2nd, we took a trip to Ayutthaya. Read all about that here. Our next day we spent in Bangkok again. We visited the German Embassy and took a stroll around Lumphini Park which is a paradise within the city! Its huge lake reminded me of the Alster at home in Hamburg. 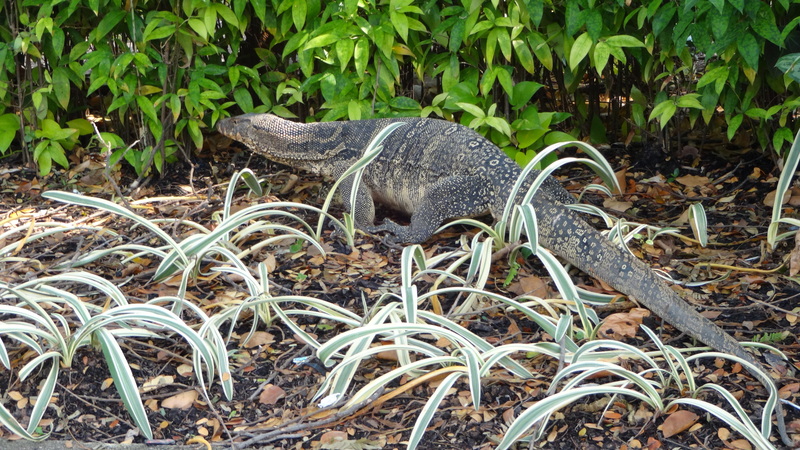 And we were not alone – the park is populated by humongous lizards!! Those guys won’t harm you in any way (at least I’m pretty sure the won’t…), just be aware that one of those scaly friends might cross your path from time to time. The longest one we’ve come across was about 1,50 m long. At one point we were ready for a little break and rented one of the numerous little pedal boats on the lake. They look like swans and are so romantic 🙂 Later that day we took a cooking class at Sompong Thai Cooking School, another activity that I highly, highly recommend!! Read more about the class here. 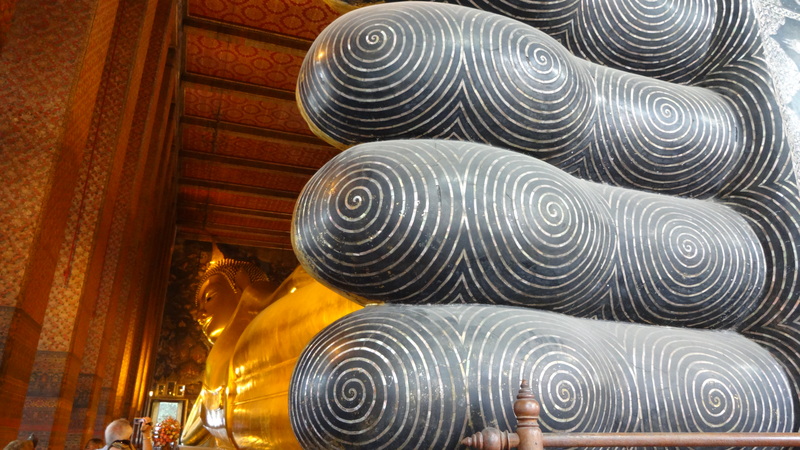 Our next stop (again – walking distance) was Wat Pho with the Reclining Buddha. Again, dress appropriately – otherwise you will be given a robe to put on over your clothes. This place is a sancturay for Buddhists, keep that in mind. The Reclining Buddha is bigger than I have ever imagined! It symbolizes Buddha attaining Nirvana. 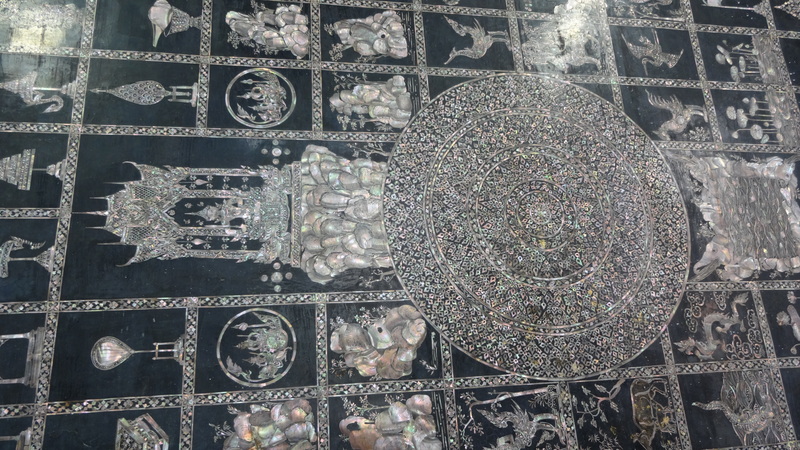 The body is covered in gold, the feet impressively show buddhist symbols made from mother of pearl. 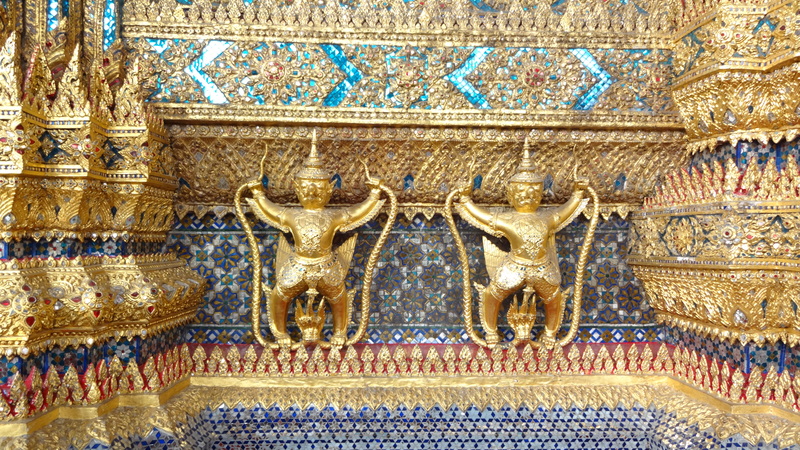 If your feet still carry you (believe me, the areas of both the Grand Palace and Wat Pho are huge! 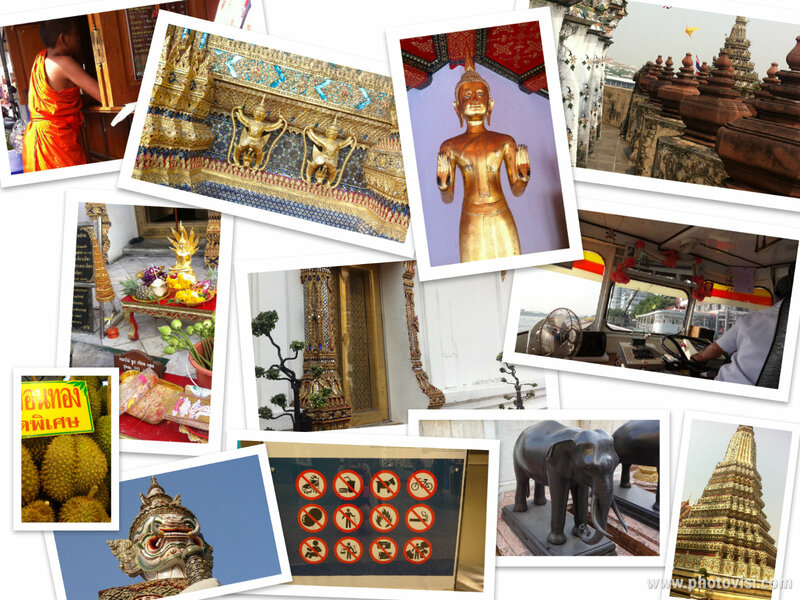 ), take the little ferry across the river to Wat Arun or the Temple of Dawn. It is totally worth it! You can actually climb onto the porcelain-covered tower and will be rewarded with a stunning view of the city. 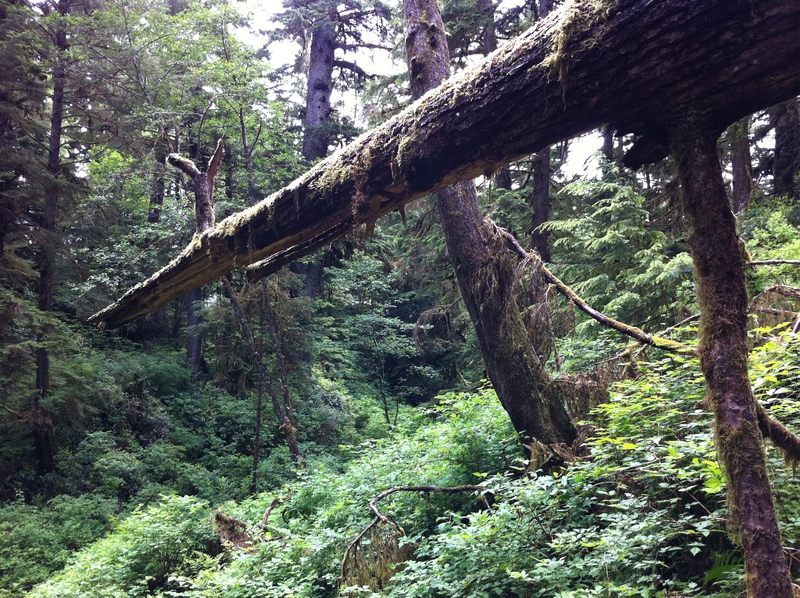 Just be warned – the stairs are steep as a ladder and if you’re scared of heights, this might not be for you. If your the one left behind downstairs, enjoy an iced coffee in the little coffee booth in front of Wat Arun. Let me tell you – it’s not that easy to get great coffee in Bangkok, but this place is rocking it! On January 5th we continued exploring Bangkok’s markets – and visited Chutuchuck Weekend market. How do I even begin to explain the size and variety of this market?? I can’t!! Just go and explore. And bring some time. 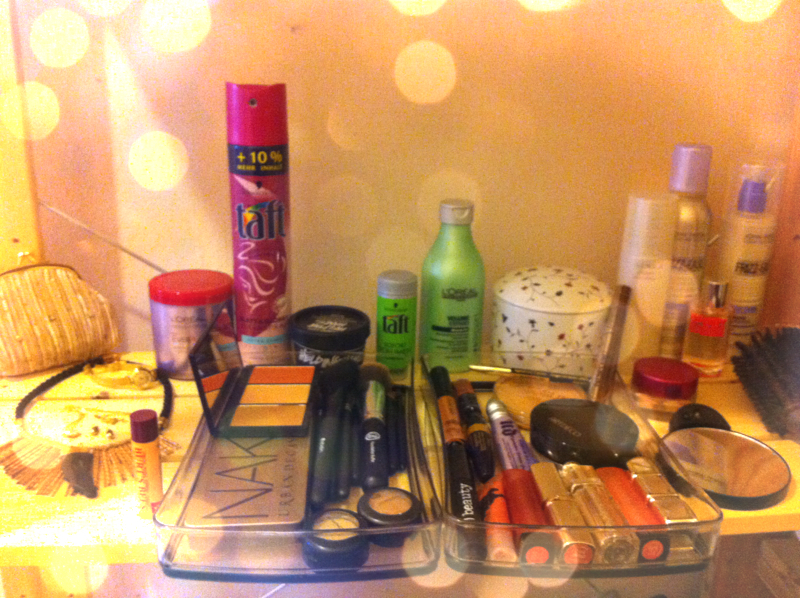 That’s all I have to say about this, Look out for my Thailand haul blogpost (coming soon) to see what I got. 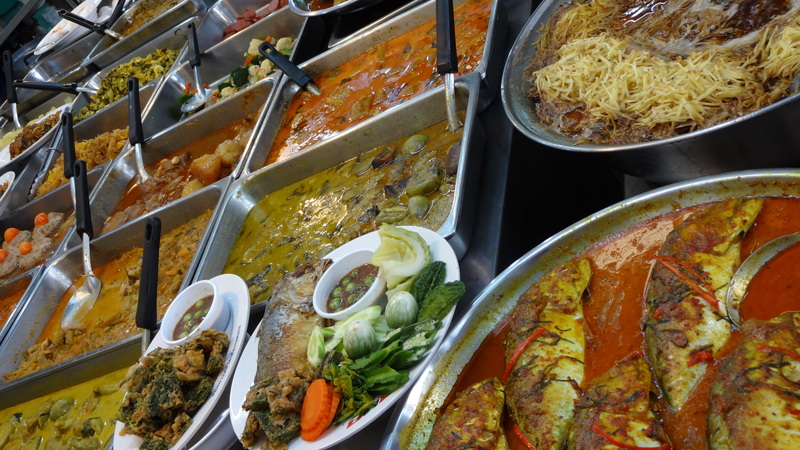 In walking distance from Chutuchuck, all you foodies out there can explore Or Tor Kor market. They offer high quality food in a very clean (and cool) hall. If you’d like to try the real exotic stuff (like Durian, for example), you should not miss out on that market! Again, more about that is coming up on my food post. Last but not least, I went to discover Bangkok’s huge shopping malls on my last day in the city. 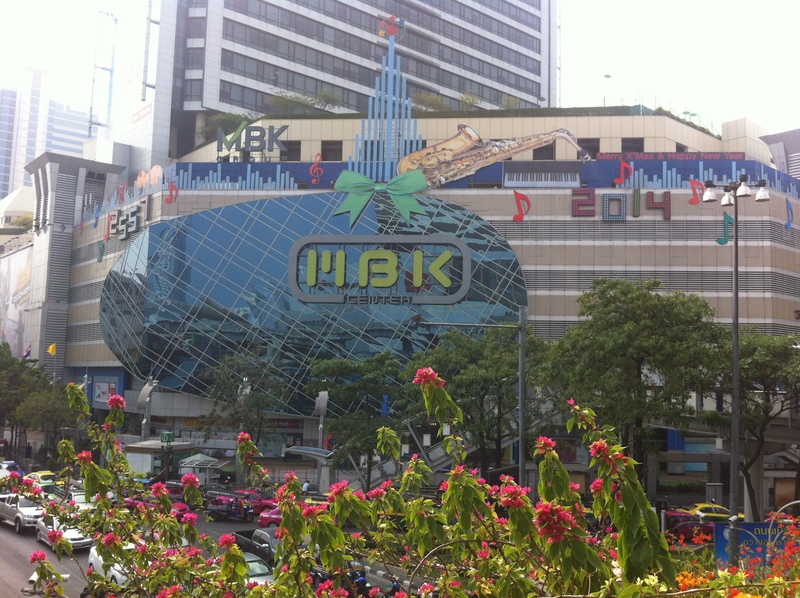 I visited MBK and Siam Discovery, two examples of the variety Bangkok has to offer. MBK on the one hand is filled with little stalls and bigger shops, you can basically find everything and anything in there. It’s crowded, loud and exciting. Siam Discovery on the other hand is a very fancy, quiet and clean-looking place, filled with the more expensive brands. There’s a skyway connecting most of Bangkok’s shopping centers, it’s worth a tour! 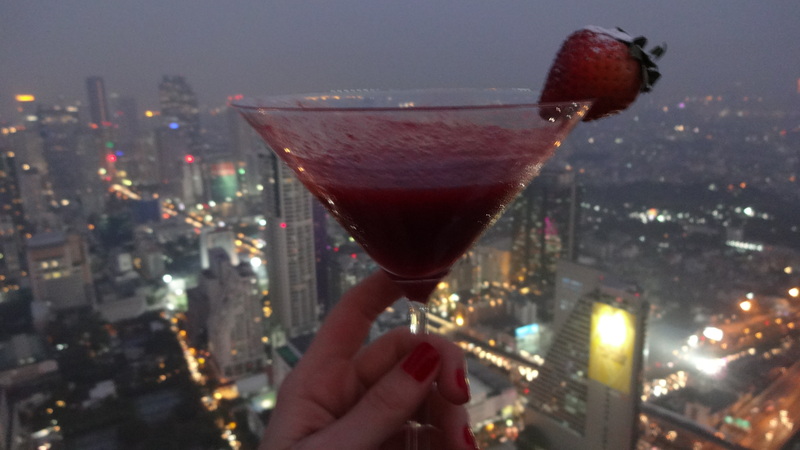 My time in Bangkok ended with an unforgettable night on the 64th floor of the Lebua State Tower. They have and amazing Skybar up there (which you might have seen in Hangover 2). The drinks are hella expensive but guys, they’re the best cocktails I’ve ever had! And the view is stunning!! Again, watch your clothes 🙂 The place is quite fancy, men won’t be allowed with sneakers or shorts, girls should wear a pretty dress or something nice. I’ve been back home in Hamburg for almost a week now, but I quickly wanted to tell you about the things I discovered during my last week in Leipzig. During the week I didn’t do anything too exciting. I went to the movies and watched “De rouille et d’os”, a very very emotionally intense french movie by Jacques Audiard. If you haven’t watched it yet – I highly recommend doing so! 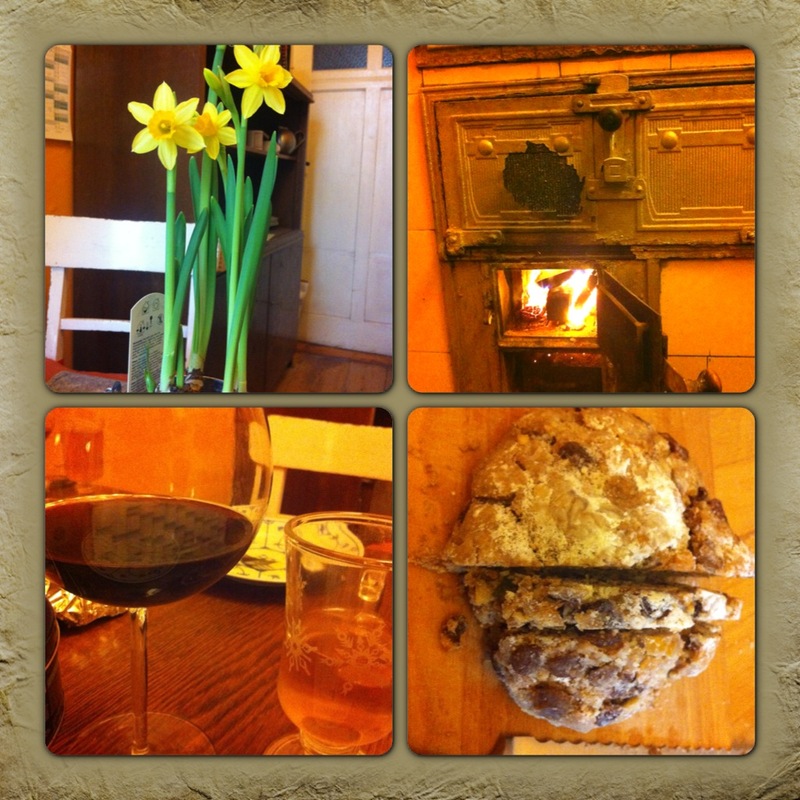 On Thursday night I baked chocolate-cranberry muffins in the tiled stove. I made them as a thank you for the nice people at the office and my flatmates. They turned out so yummy! Comment if you’d like to see the recipe. I have been looking forward to friday for so long! 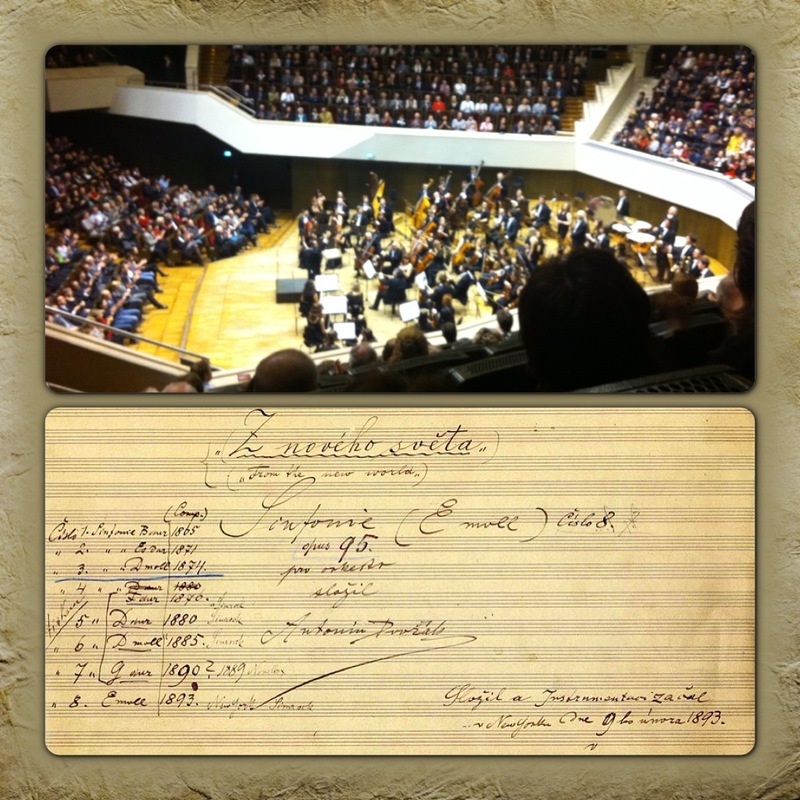 Friday was the day my boyfriend arrived in Leipzig to spend my final weekend there with me 🙂 We went to explore Leipzig together, visited another motet-concert in St. Thomas Church on Saturday afternoon, had dinner at Sol y Mar which was really yummy (we had a variety of different tapas, antipasti and cheese) and went to the Vodkaria afterwards, which is just around the corner. 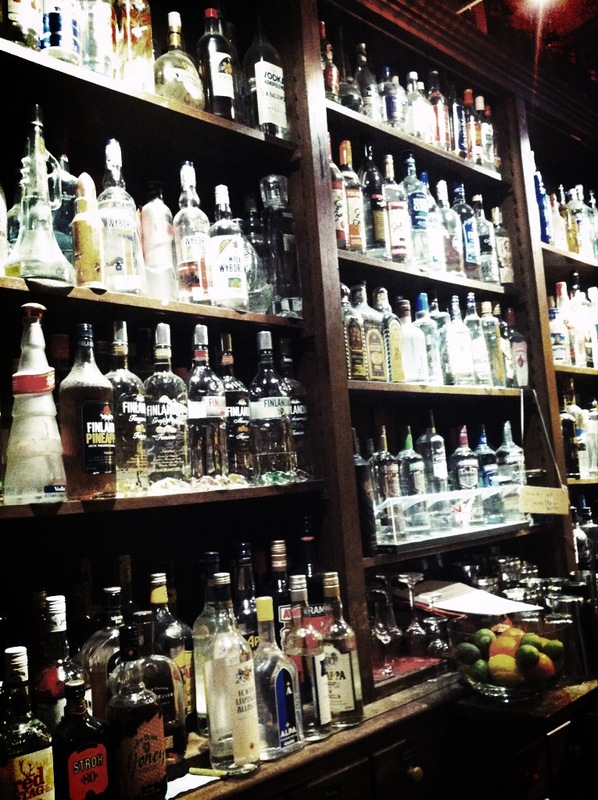 Guys, let me tell you: If you like vodka , you need to visit that place! Their range of different longdrinks, shots, cocktails etc. is amazing! The so called “Polnischer Geheimtipp” was my favourite for the night, but I’ll definitely go back to try more of their drinks. It’s a great place to hang out at the bar or eat a little something, I loved that there’s so much to look at. 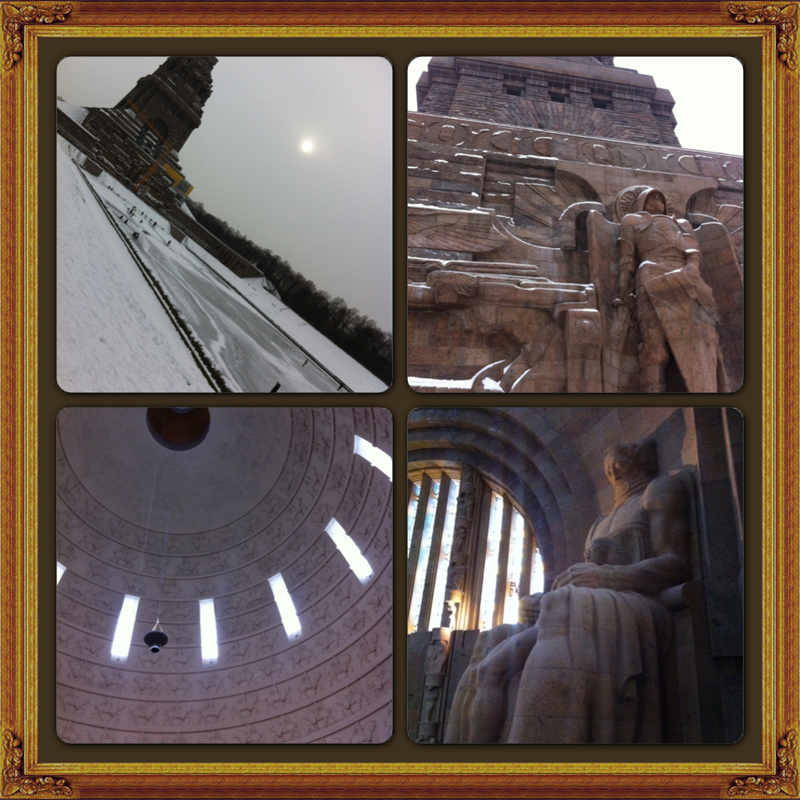 On Sunday we went to the “Völkerschlachtdenkmal” or “Monument to the Battle of the Nations”. 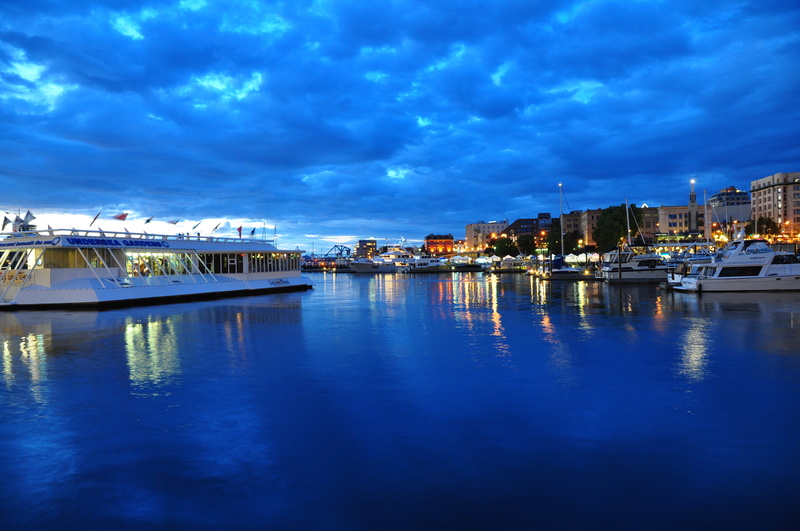 It is celebrating its 100th birthday this year and is therefore being renovated at the moment. Still, it is breathtaking! The huge granite and sandstone guards you see on the outside and in the crypt make you feel small and insignificant; the detailing in the dome makes you want to travel back in time to watch the artists build this monument. On it’s highest point you find yourself 91m above the city with a beautyful view all around. 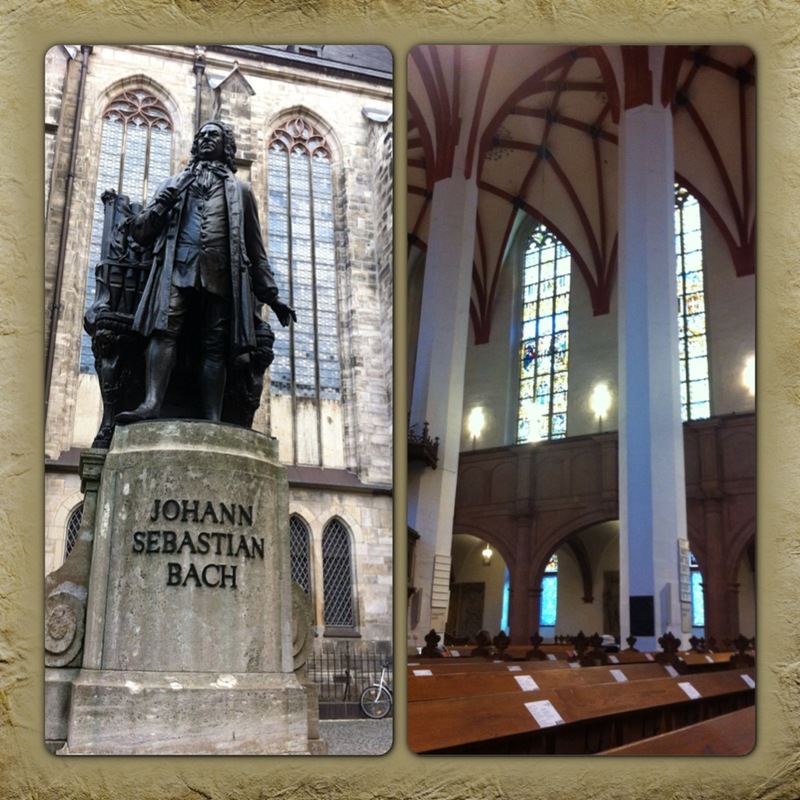 It’s really a must-see when you’re a tourist in Leipzig and was the perfect way for me to end my stay. Before we headed back to Hamburg we went to have lunch at the Épicerie Petite Marieke one more time. Needless to say it was delicious as always. 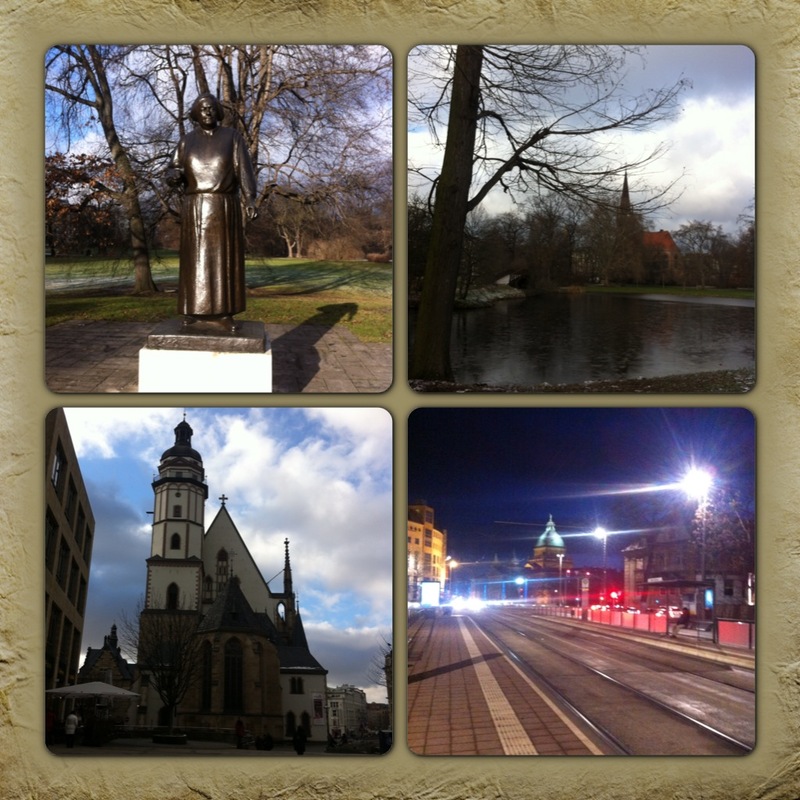 Well guys, that was my little series about Leipzig for now! I hope you liked it and will try some of the things out if you ever go to Leipzig – which you should, it’s a very interesting city! 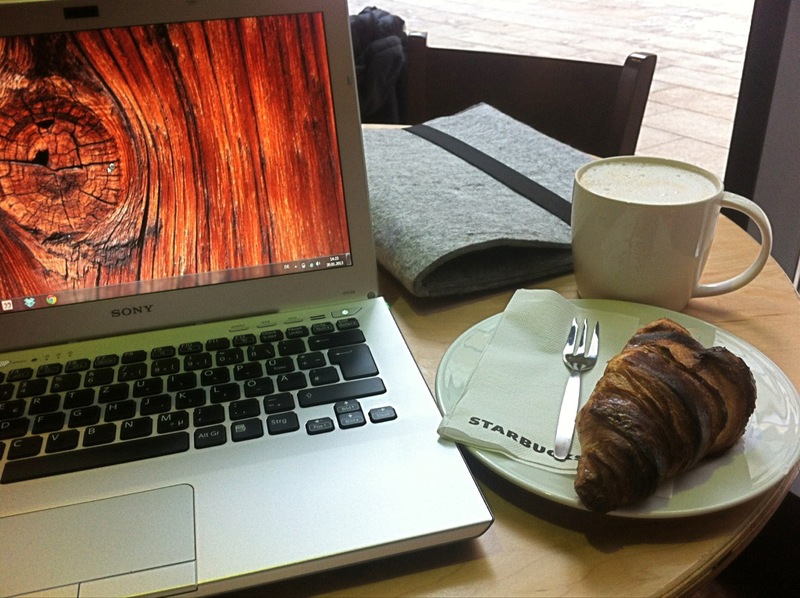 As some of you might have seen on twitter, I’m spending my afternoon at Starbucks in the city center of Leipzig again. This has several reasons, a) Starbucks has really good coffee (even though I think it’s a little bit too pricy…) and b) the appartment I stay in is located in a very old house. Don’t get me wrong, I love the charm of old buildings! But with temperatures of around -10°C outside it’s just impossible to keep them warm. My room has an average temperatur of about 12-14°C and that’s just way too cold for me to feel comfortable. I’m a typical girl when it comes to being cold, I easily feel like I’m freezing to death even in temperatures around 20°C. Well, let me tell you about my second week in Leipzig. Again, I had to work Monday through Friday. We did business-related trips to Berlin and Dresden too, so I didn’t get to see a lot of the city then. Plus I caught a really bad cold, so I spent most of my nights cuddling into bed early (finished the first book of the Hunger Games trilogy!) or taking hot baths. I cooked lots of yummy food with my roommate and we had some nice talks about anything and everything. One of the reasons I like to sit in the kitchen with him at night – besides the fact that he’s nice to have around – is the old and beautiful tiled stove in the kitchen. different decades, so their memories obviously differ. Mine was a woman called Christa Schuldt. Once you chose “your” contemporary witness, the computer prints out a barcode for you. Throughout the exhibition you will find different stations you can insert this card to, and every time you will be able to listen to “your” witness’ specific memory of historical events and their points of view. It was a great experience and I highly recommend everyone who has a little interest in history to visit this museum right in the city center of Leipzig. The entry is free! Some night during the week I went to bar called “Horns Erben”. It was a very nice and kind of old-school place to chill out on one of their couches and have a glass of wine. I was really surprised to learn about the history of the bar though! It has first been opened as “Horns Weinstube” in 1926 and was extremely succesful until in 1972 it fell victim to socialism in the GDR: Expropriation. In 2004 the association re:tina e.V. 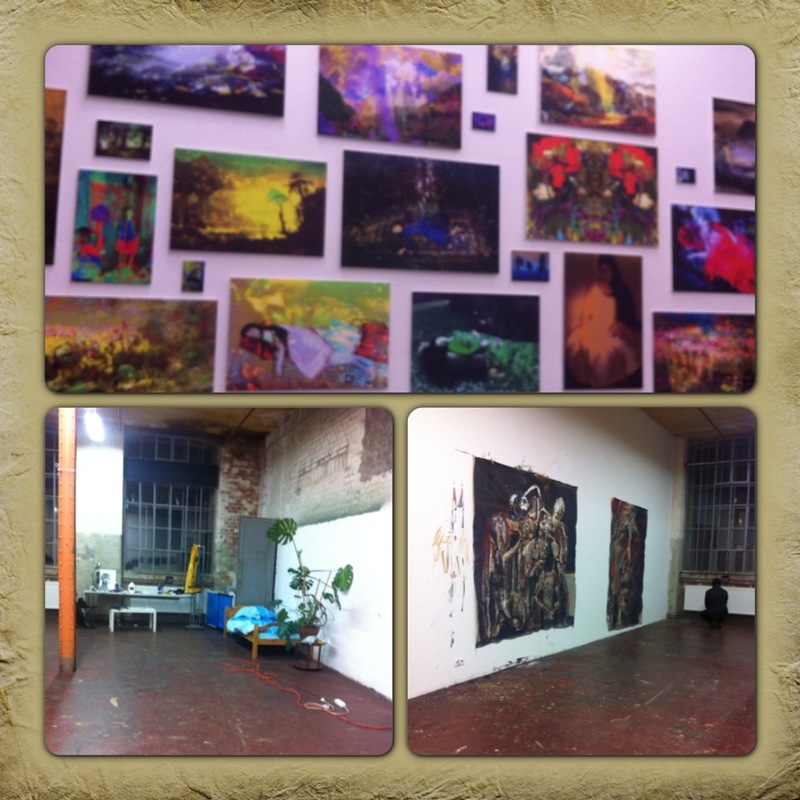 discovered the historic building and brought it to new life. Great decision! 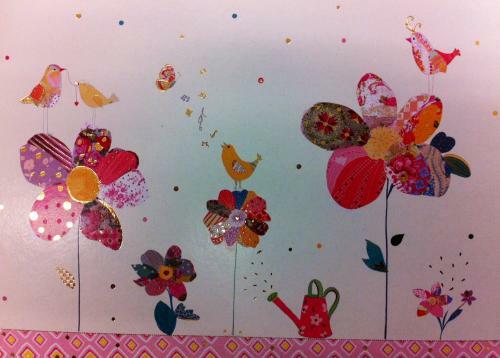 Send a postcard and receive a postcard back from a random person in the world! Will you try it? Let me know what you think about it! 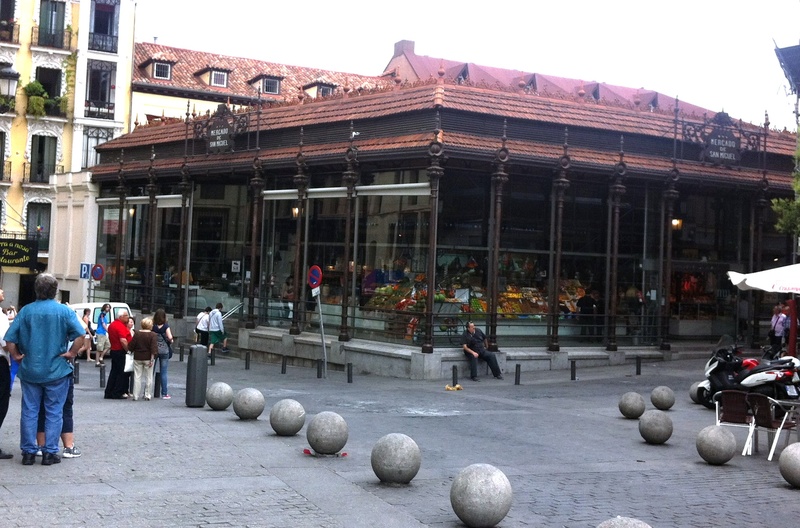 Mercado de San Miguel in Madrid – A paradise for food lovers! Earlier this year, I have visited Madrid, Spain. I had quite a long layover at the airport so I decided to see a little bit of what the city has to offer. The best way to get to the city from the airport is to buy the Madrid Tourist Travel Pass. The ticket for “Zone A” costs 8,00 € and will get you anywhere you want throughout the whole day. You can find more information about that on http://www.gomadrid.com/transport/travel-pass.html The metro line No. 8 will take you directly to the city from Terminals 2 and 4. After I had walked around the city for a while, an old, interesting looking building on Plaza San Miguel caught my attention. I went in there and it turned out to be a food market! 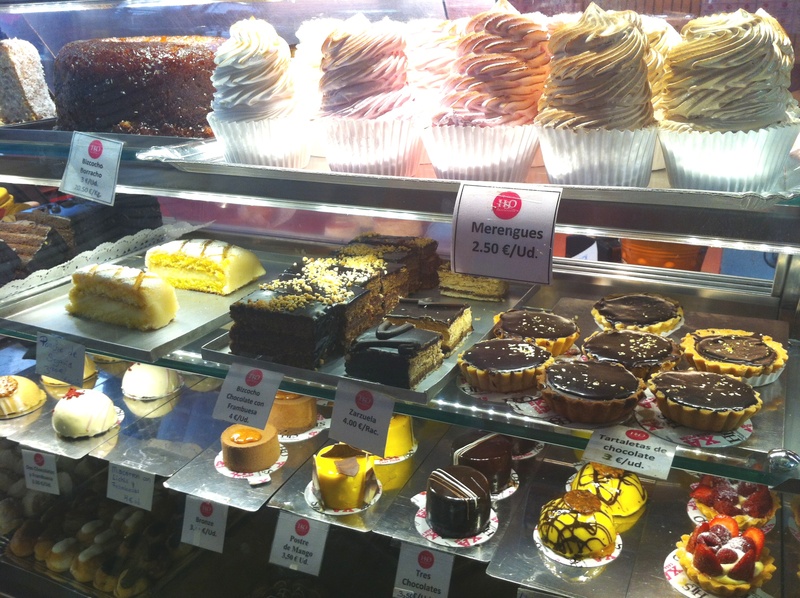 They seem to sell everything in there, fresh fish, fruit, pastries, dairy, Spanish tapas… It is awesome! When at some point your feet start hurting from running around, just sit down and enjoy a nice cup of Café con leche or order “Chocolate con churros” (try it, you’ll fall in love instantly!). In case they’re out of churros already, which can happen by the time it becomes afternoon, go to Chocolateria San Gines (it’s located in the street Pasadizo des San Gines, only about 2 streets away from Plaza San Miguel). They’re supposed to have the best Chocolate con Churros in Madrid and they even sell it to go, I’ve tried it 🙂 But it’s worth to take the time and enjoy the ambience of the nice little chocolateria.